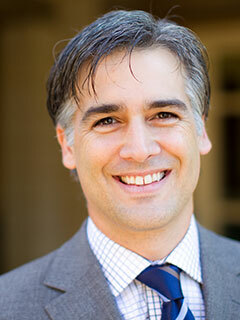 W. Jonathan Cardi is the associate dean for research and development and a professor of law at Wake Forest University School of Law. He is a co-author of a torts casebook, a remedies casebook, and two commercial outlines and is a co-editor, with Gregory S. Parks and Shayne Jones, of Critical Race Realism: Intersections of Psychology, Race, and Law (The New Press). He has served as president of the Southeastern Association of Law Schools and chair of the Remedies Section of the AALS and is a member of the American Law Institute. He is also a contributor to the European Group on Tort Law. Cardi clerked for the Honorable Judge Alan Norris, U.S. Federal Court of Appeals Judge for the 6th Circuit, before working as a litigator at the D.C. law firm Arnold & Porter. Prior to joining Wake Forest, he was a faculty member at the University of Kentucky College of Law, where he taught for eight years.